Marksville, LA — A horrifying and heartbreaking police shooting occurred Tuesday night in Louisiana leaving a father in critical condition and his 6-year-old son dead. 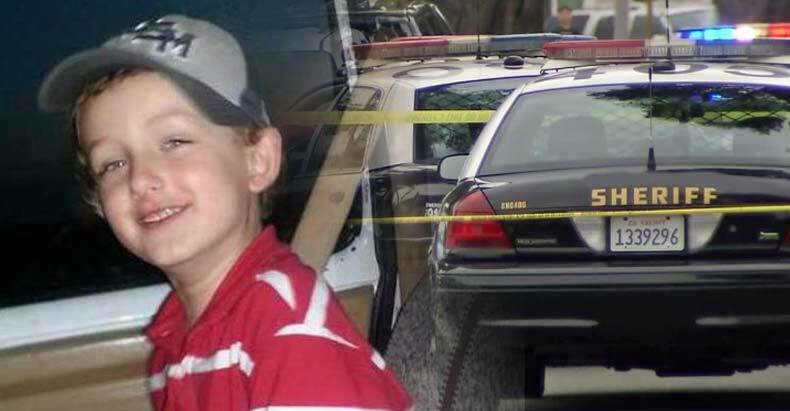 The boy, Jeremy David Mardis, of Effie, was killed by multiple gunshot wounds to the head and torso. He was pronounced dead at the scene, Avoyelles Parish Coroner L.J. Mayeaux said Wednesday. The boy was a student at Lafargue Elementary in Effie. The shooting on Martin Luther King Drive in Marksville happened at the end of a pursuit and involved multiple city marshals from Ward 2, Louisiana State Police spokesman Trooper Daniel “Scott” Moreau said. School Superintendent Blaine Dauzat expressed his grief over the death of Mardis who attends Lafargue Elementary School. Dauzat is gathering grief counselors and sending them to the school, located in the Effie community, to assist students and staff during this time. Of course, fleeing from the police with a child in the car is a terrible decision. However, as we have seen time and time again, police officers fire into vehicles, that do not pose a threat, killing the drivers. Tell yourself that the police are on your side. It’s hard putting these videos under Police Beat Of The Week. We need a new category i think, Police Murder Of The Week would be more accurate. A federal court released police video recordings Tuesday that show Gardena officers fatally shooting one unarmed man and wounding another in a 2013 incident that resulted in a recent $4.7 million legal settlement by the city. CLEVELAND (AP) — A patrolman charged in the shooting deaths of two unarmed suspects during a 137-shot barrage of gunfire was acquitted Saturday in a case that helped prompt the U.S. Department of Justice determine the city police department had a history of using excessive force and violating civil rights. Michael Brelo, 31, faced as many as 22 years in prison had the judge convicted him on two counts of voluntary manslaughter. Before issuing his verdict, Cuyahoga County Common Pleas Judge John P. O’Donnell said he would not “sacrifice” Brelo if the evidence did not merit a conviction. Brelo put his head in his hands as O’Donnell finished a nearly hour-long summation of his conclusion, an involved explanation of the decision that involved mannequins marked with the gunshot wounds that the two motorists suffered. Brelo is white, the two motorists were black. Community and city leaders braced for the possibility of unrest in response to the verdict, which came as investigators work toward making a decision on whether charges will be filed in the death of a black 12-year-old boy carrying a pellet gun who was shot by a white rookie officer late last year. Brelo sat stoically throughout the four-week bench trial, his parents often in the courtroom. 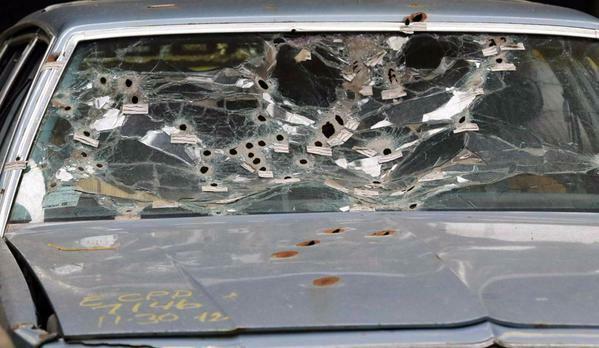 Thirteen officers fired at a car with Timothy Russell and Malissa Williams inside after a long, high-speed chase, but only Brelo was charged criminally because prosecutors said he waited until the car had stopped and the pair no longer a threat to fire 15 shots through its windshield while standing on the hood of the car. The British army would shot every dog they saw in Northern Ireland. This is military training. 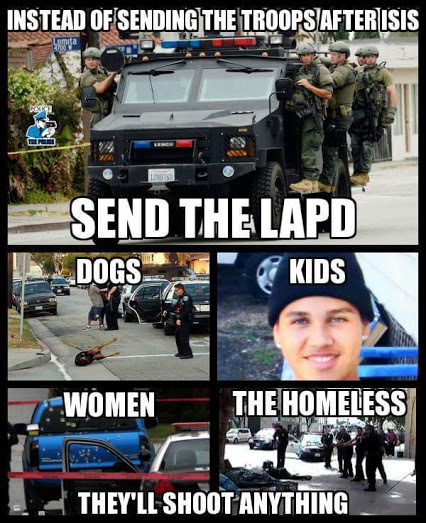 The American police are not police, they are “quiet literally” soldiers. Police Beat Kill of the week goes to these arse holes. Where is the conflict resolution? Killing people because tazzering them made them jump about in pain.